Package by plywood case or according to the customer’s request. Within 40 to 50 days after receiving deposit. Within 15-30 days after receiving deposit. This kind machine is mainly used in high viscosity product Resins,Sealant,Silicon rubber,Glue/adhesive,Paint,Dye,BMC/CMC,Pigment,Plastics,Batteries,Tooth paste,Clay etc. This silicone rubber double sigma mixer machine comprises of a double ‘U’ shaped container welded and machined together inside which rotates two ‘Z’ shaped sigma blades in opposite directions. The clearances between the walls and the container are kept to a minimum to ensure maximum efficiency in kneading and mixing. The shafts of the sigma blades are fitted in bearing blocks which are each provided with roller bearings, steel glands/teflon rubber seals for smooth and leakless operations. The sigma kneader is mounted on a sturdy base frame fabricated out of ISMC sections and are free from vibrations. For cooling and heating jackets are provided.Machine equipped with suitable capacity motor & gearbox decided as per characteristics of the product & process. Equipment is provided with Jacket arrangement for heating or cooling applications. 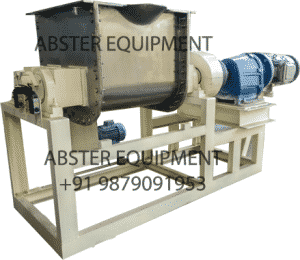 We manufacture Sigma Mixer Kneader in capacity ranging from 5 liters up to 5000 liters. Start the motor,add the material,after adding material,clean the foreign matter on the cylinder port.It takes Hydraulic Dumping up cylinder Discharge the material,it is rapid and clean to discharge. Our company is specialized in manufacturing many kinds of chemical machinery such as chemical reactor, mixer machine, grinder machine etc. Our company has in good faith as the fundamental focus and product quality. Packaging Details: Package by plywood case or according to the customer’s request. Delivery Detail: Within 40 to 50 days after receiving deposit. Heavy Duty Sigma Mixer Machine is combination of mixing and kneading for highly viscous materials. Machine is having heavy duty design with suitable gauge metal in bowl, blade, cover and jacket for heavy structure to deal with high viscous product. Subsequent higher capacity motor and sturdy gearbox provided matching to product parameters. Jacket is offered with mild steel or stainless steel for heating and cooling requirements.